A war is on between two groups of capitalist nations. On the one side of American and her satellite nations and on the other side of the axis of resistance, Syria, Russia, Iran, and Hezbollah. Any person who does not side with the defenders aganist aggression are imperialists, there is no middle ground here. You are either for the political sovereignty of Syria, Russia, and Iran or not. The chickens are falling coming home to roast for Russiagaters and the Democratic establishment. Russiagate blew up in their face on Sunday when Trump attacked Putin and the Russian Federation by name. The fake Russiagate scandal generated by the mainstream media in relation to Trump has made him flip from wanting detente with Russia to now pushing for the possibility of a World War with Russia. I hate to be defending Trump here, but the Mueller investigation is a witch hunt for the most part on him and he has been the toughest president ever when it comes to Russia, from sanctions, to censoring Russian media in the US, to expelling Russian diplomats. Relations now with Russia are even worse than when they were during the Cold War. Only time I can remember them being worse than this was during the Russian Civil War when Wilson sent US troops to occupy Russia, engaging in open hostility with Russia. 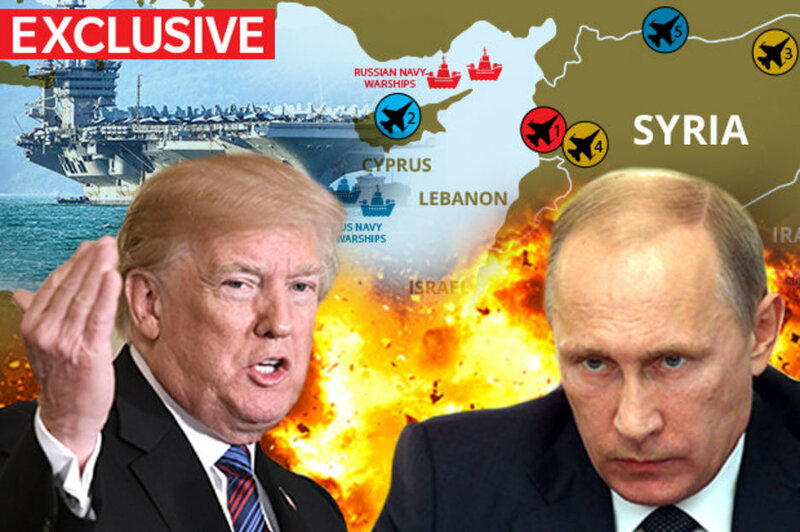 Russia and Iran has stated that any attack on Syria will lead to retaliation. Iran states it will retaliate aganist Israel for the April, 8 strike. We are beginning to see military mobilization and flight cancelations in and around the area of Syria. The Free Syrian Army says it will lead a counter offensive when any such attack accrues.